This gorgeous two-story, two bedrooms + den, two and a half bath condo feels like a private townhome with all the benefits and amenities of a condominium. Completely gut-renovated, this home features marble tile floors throughout the first level, gorgeous ash-grey wood on the upper level, designer kitchen and bathrooms, and more. 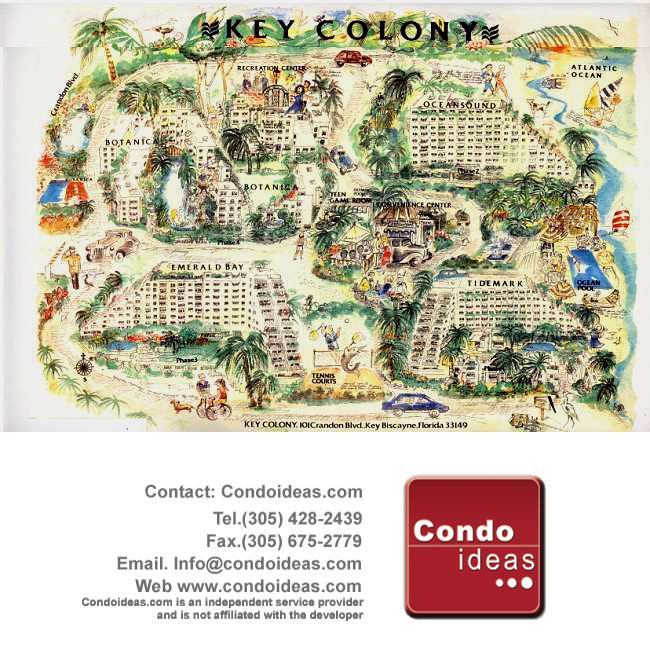 Key Colony Building 1, Tidemark, is the closest of the building to the beach, with two fabulous pools just next to the beach entrance, a Poolside restaurant, and a café/gourmet boutique right on the property. Tidemark also offers steam rooms, sauna, gym, tennis courts, and a peaceful community. This two-story Lanai is over 1,800 square feet with a huge private patio with convenient entry directly next to the lobby.